Hide a person from appearing under People. This also prevents events with that person from appearing in “Rediscover this day” cards in the Assistant. Face search is available in more countries: Face grouping will be available in Latin America, Canada, the Caribbean, Australia, and New Zealand. It will also be available in parts of Asia, the Middle East, and Africa. When viewing search results, pinch to zoom in and out. Spooky fast performance improvements and bug fixes. You can also save animated GIFs as videos (as you already could on iOS) to enable sharing them via Instagram, WhatsApp, and more. Just this year, we saw a 5X growth in Arabic translations in Germany, which got us thinking about what we could do to make our products work better for Arabic speakers in these places. We’ve since added Arabic as our 28th language for instant visual translation, enabling immediate, offline translation of signs and other printed text from English or German to Arabic. We’re also asking anyone who knows the languages spoken by refugees or the countries they’re traveling through to help us improve translations through Google Translate Community. Snapseed goes raw! DNG support arrives on Android. I’m delighted to say that DNG files, shot directly on Android phones or converted from other formats, can now be edited in Google Snapseed for Android. 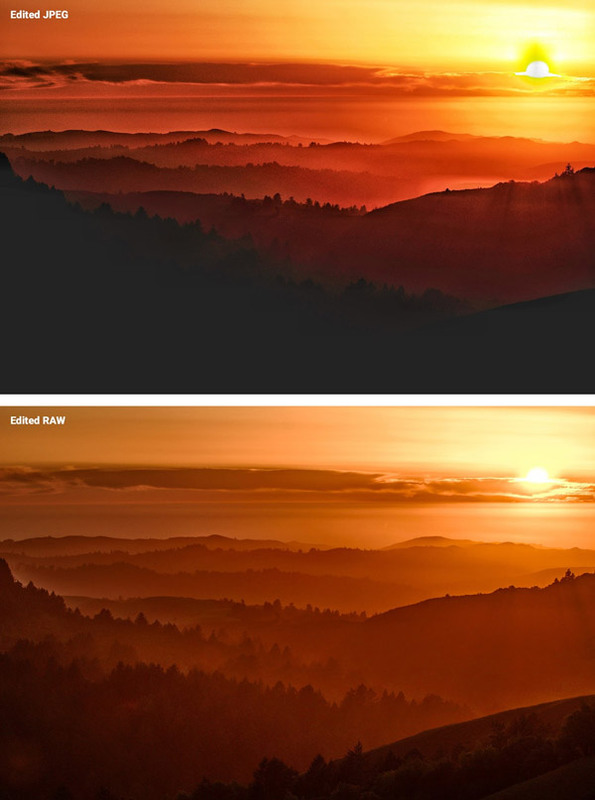 When you open these images in the new Snapseed 2.1 (rolling out now, so please check back in the Play Store if it’s not yet available where you are), a new Develop filter module gives you great control over highlights, shadows, and white balance—just as you’d expect when working with raw. Some phones can shoot DNG photos in the phone’s built-in camera app, including LG G4, HTC One M9, OnePlus One, Oppo N1, Oppo N3, and Oppo Find 7. Others require a third-party camera app to shoot DNGs, including the Samsung S6, Samsung S6 Edge, Nexus 5, and Nexus 6. Devices need at least 1.5GB of RAM & good OpenGL support. Happy shooting, and please let us know what you think! This little round-up of non-CGI effects—from Star Wars to An American Werewolf in Paris to Terminator 2—is loaded with fun details, including a clever T2 deleted shot I’d never seen. “This might be my all-time favorite press briefing I’ve done,” says David Lieb, who leads the PM team for Photos. 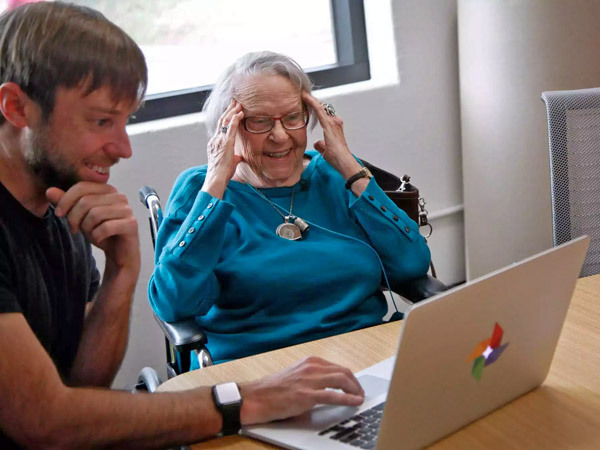 Google granted the wish of 97-year-old Olive Horrell, who dreamed of being an engineer but was discouraged from pursuing that career. She recently visited campus, had her “mind blown” by Photos, tried her hand at drawing a Google Doodle, and road around in a self-driving car. Man, I’m kinda jealous, and I work here! 🙂 Makes me wonder what kind of campus tour I (or more likely my disembodied essence) might get in 50-odd years. The New York Times announced on Tuesday a virtual reality project in collaboration with Google, which will include the distribution of more than a million cardboard VR viewers to subscribers. The New York Times Magazine will release a new virtual reality film, called “The Displaced,” about children uprooted by war. It can be watched with the cardboard viewers, which are used with a smartphone and will be sent to home delivery subscribers on the weekend of Nov. 7. Some digital subscribers will receive codes by email to redeem for a free viewer. These are funnier & more successful than I’d have imagined. Footage & music were drawn from season 3 of each show. Like an unfortunate number of friends’ families recently, we recently lost a loved one. I thought I’d briefly share a couple of things that worked well for us. In Google Photos search, you can tap on a person’s face to see all your pictures of him or her, then select a number of them and tap the share icon to create a sharable gallery. Friends & family viewing the gallery can download these images, or if they’re logged in with a Google account, add the images to their own Photos library with one click. This makes it really easy to gather together content (e.g. to make a memorial book or video). Before this feature was available, I guided a friend through a patchwork process of trying to get things via email, Drive, etc. The new approach is far simpler, and in the near future, collaborative albums will make it simpler still. Discovering animations that feature your loved one can be a surprisingly moving experience. The circumstances mean that these tasks aren’t exactly fun, but I’ve found that the results can be very meaningful.